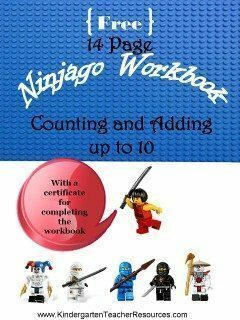 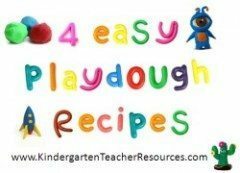 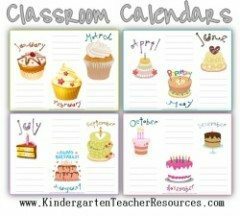 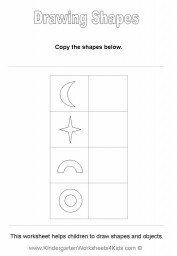 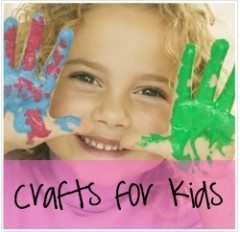 The following kindergarten worksheets help children to draw shapes and objects. 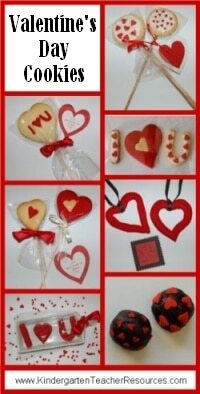 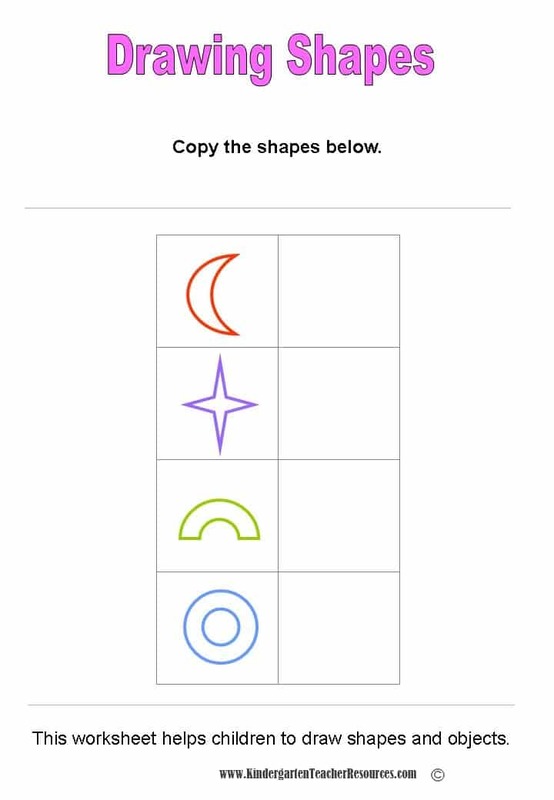 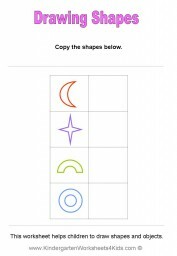 These shapes are slightly more advanced than the shapes in other “Shape Worksheets” on this site. 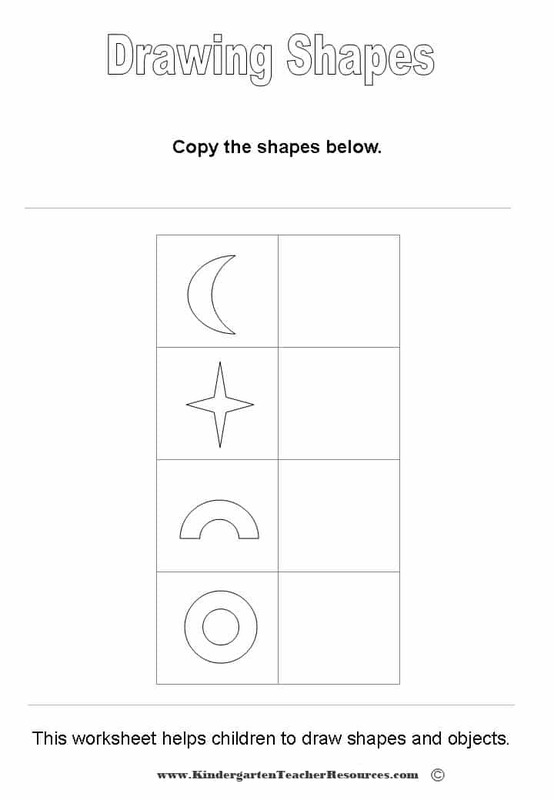 There is a colored version and black and white version.